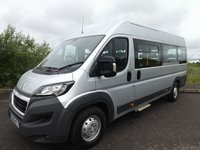 Offering great performance and passenger comfort, the Transit is sure to impress and we offer 9 to 17 seat configurations, with only the standard 15 and 17 seaters requiring drivers to have a D1 licence. 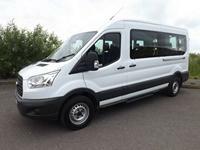 Minibus World offers excellent prices on the outright purchase of New Ford Transit minibuses, but we also offer great leasing deals. 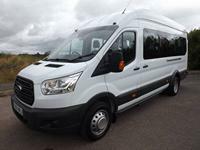 This is an increasingly popular way to enjoy a minibus, so be sure to visit our minibus leasing page for further information and new Ford Transit minibus leasing options. 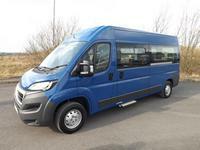 Why choose a Ford Transit minibus from us? Minibus World has years of experience with the Ford Transit minibus, so we're the perfect team to advise you on exactly the right specification. Our great deals and leasing options make the Ford Transit highly affordable, while our conversions allow you to choose colour-coordinated seat upholstery, seat belts and piping, along with optional sign writing to perfectly tailor the minibus to your requirements. 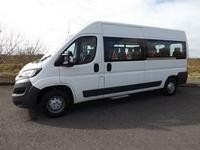 We can exclusively provide your establishment with a Ford Transit CanDrive 15 Seat Minibus, which under some circumstances, may only require your staff to have a category B car licence*, saving time and money. We are a trusted family-run business based in Staffordshire with excellent lead times, and in some cases free minibus delivery may be included. We are trusted by our customers to deliver an outstanding service, just browse through our Testimonials. 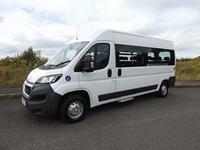 Call us on 01782 444289 and our friendly team of minibus experts will be happy to discuss your requirements. Not particularly fussed about the Make? 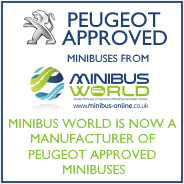 We supply minibuses from all major manufacturers and even produce in house Peugeot Approved Minibuses.